MinistryLink | What is God up to? A new question. 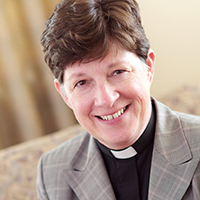 Amid all the talk of the church in decline, Presiding Bishop Elizabeth Eaton, in her February column for Living Lutheran, wants us to ask a new question. Instead of “What can we do?” we should ask, “What is God up to?” so we can open ourselves up to the life-giving promise of God’s future. Read her column in English below and in Spanish at https://bit.ly/2BnwTjy. What is to be done? Our congregations are growing older and smaller. At least 40 percent of our congregations have an average weekly worship attendance of 50 or less. ELCA membership decreases by 70,000 people a year, or roughly the loss of a synod per year. Clergy retirements outnumber new candidates for ministry. Financial pressures and building maintenance create stress. There is a dearth of people in their 20s and 30s in our pews. How do we change this? How do we reverse the trends? Some now see the decline of the church in general, and the ELCA in particular, as inevitable. The response can be to turn our churches into bunkers with our congregations sheltering within the walls or to try every new program that breathlessly promises to attract people to our congregations. Neither is an effective or faithful long-term strategy. The questions we are asking have to do about us: “What can we do?” They express loss and grief and fear—loss and grief for what we were and fear about what we will become. Not only do these questions not lead to productive answers, they also don’t point to hope. It’s as if the church’s one foundation rests on us and our efforts. The good news is that you and I don’t have to have a clear vision because God does. “Do not remember the former things, or consider the things of old. I am about to do a new thing; now it springs forth, do you not perceive it?” (Isaiah 43:18-19). These words of hope were spoken to the Jews who were stuck in exile. They had lost their land, their temple and their king—the pillars of their identity. Likewise, the church has lost social status and relevance in 21st-century American culture. For Israel and the church this would be a hopeless situation, except that God is faithful. When the Lord admonished, “Do not remember the former things, or consider the things of old,” this wasn’t a command to forget God’s past saving work, but to believe that God was still acting. This is true for us today. When we stop asking what we can do to fix the church and start asking what God is up to, we open ourselves up to the life-giving promise of God’s future. Then we are also open to more questions: How is the Spirit reshaping the church? How will Christ use us as Christ’s living body in the world? And one more thing: in God’s inscrutable wisdom, God has chosen human hands and voices to tell and welcome. Let’s adopt the Metropolitan Washington, D.C., Synod’s mission to get more people to know more about Jesus. A monthly message from the presiding bishop of the Evangelical Lutheran Church in America. Her email address: bishop@elca.org. This column originally appeared in Living Lutheran’s February 2019 issue. Reprinted with permission.